Don't you just love how your home smells when you're pouring your heart and soul into a good home cooked meal? I get a sense of pride when Jason walks in the door at night and says, "It smells so good in here!" I love being able to put a delicious and nutritious meal on the table for my family at the end of a long day, because full and happy bellies let me know I've done my job. As happy as it makes me to provide a good home cooked meal to my family, I can't say that I entirely love the process it takes to get from start to finish. I simply adore using garlic and onions in many of my dishes, but I really dislike how tedious it is to peel and chop the garlic, not to mention how stinky it makes my hands. And onions? Nope, don't love how bad my eyes water once the knife slices through them. And doesn't it just irritate you when you go to pull your fresh herbs out of the fridge only to realize they've gone bad? Yeah, that makes me mad when I have to throw out half a bunch of cilantro because we didn't use it before it wilted up. Now I have to make a special trip to the store for more, wasting time and money. 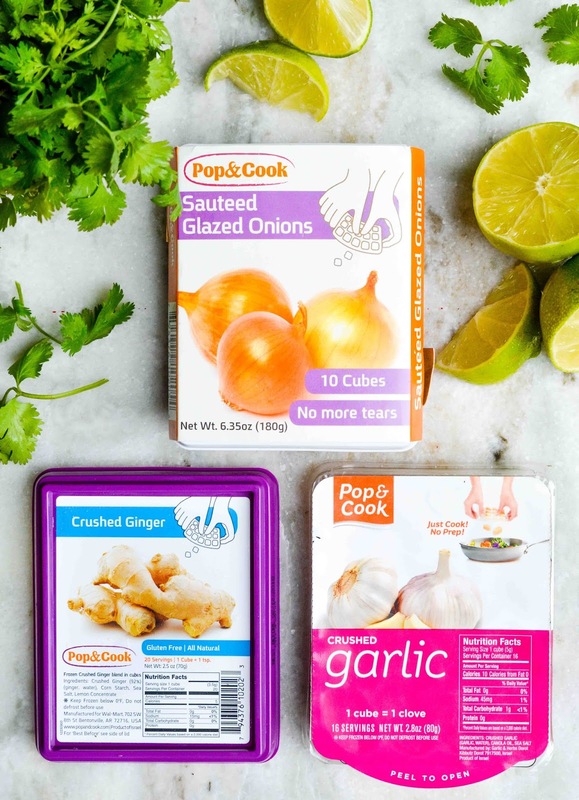 So, when I heard about these new Pop & Cook onion, garlic and herb trays, I was all about getting some for my kitchen. Pop & Cook is an effortless way to get pre-portioned fresh garlic and herbs on the table hassle-free.The pre-portioned packs eliminate washing, chopping and measuring, making it effortless to get a delicious home cooked meal on the table without spending a lot of time or tears chopping and measuring ingredients yourself. Pop & Cook grows their own garlic and herbs, picks them from their fields at peak freshness, then flash freezes them within 90 minutes of harvest, so when they say fresh, they mean it. And each package has a 2 year shelf life, so no more wasted trips to the store to replenish rotten produce. Simply open the freezer and you're ready to get your cook on. After hearing about Pop & Cook, I ran to Walmart, where they are exclusively sold, to get my hot little hands on a few packages. I found them in the frozen veggie section, top shelf. 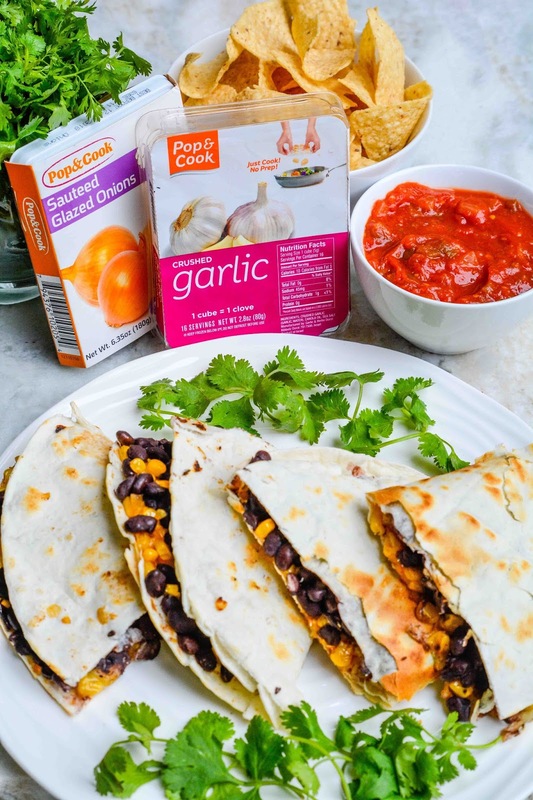 As soon as I stocked up on Pop & Cook, I immediately came home and tried the onion and garlic cubes in my easy to make Cheesy Black Bean & Corn Quesadillas. I was pretty impressed with how simple the process really was. Honestly, it was just like the name says, Just Pop & Cook! 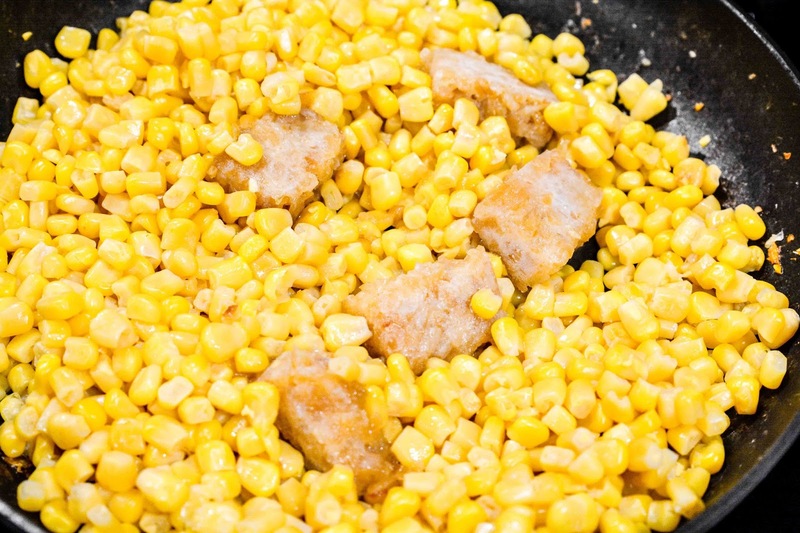 In a large fry pan, heat the frozen corn over medium heat until cooked through. Add the Pop & Cook garlic and onions to the pan. Continue to cook over medium heat until cooked through, stirring occasionally. Stir in lime juice. Add black beans to the pan, stir. Remove from heat. Place a tortilla in a separate pan. Layer half of the tortilla with 1/4 cup of the Mexican cheese, then top with about 1/2 cup of the bean/corn mixture. Fold the top half of the tortilla over mixture, pressing slightly to hold into place. Cook tortilla on medium heat until cheese is melted. Cut into wedges and serve immediately. 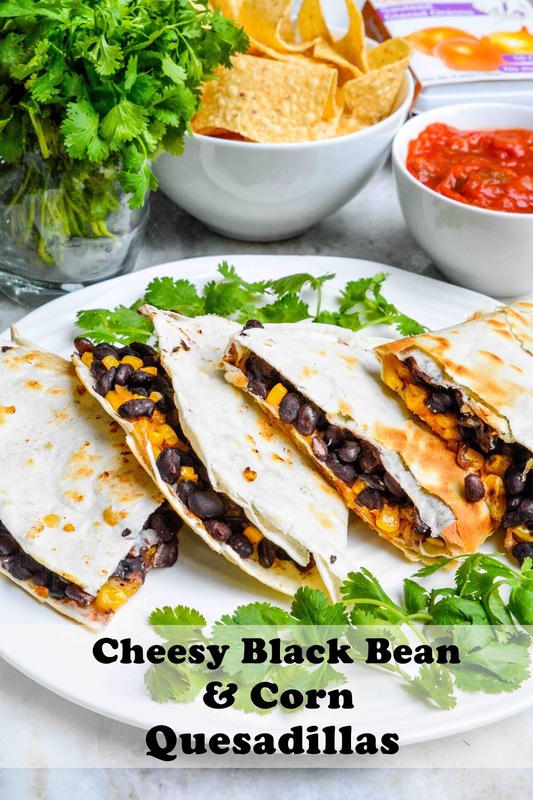 These quesadillas make a great Meatless Monday meal and is a quick and simple mealtime solution, especially now that we are heading into the jam packed back-to-school season. I'm pretty excited by the time, money, and stinky hands and watery eyes Pop & Cook is going to save me now! What recipes would you use new Pop & Cook in to simplify meal time? I used to be, but in my olden years, I love it! because people are tooo lazy nowadays to even mash a garlic or dice an onion? :P It does look nom and also gorgeous in those cubes, though! Handy-dandy indeed. And you did such gorgeous photos, especially that first one with parsley and lime, could stare at it for ten minutes. I've discovered dried onions earlier this winter and I put it in everything it is so delish, but I also love to dice the regular one, I find dicing and slicing the fun of cooking. I have a feeling you had such fun writing this post! I haven't used dried onions in my cooking, but if it's like what I posted, Americans use them a lot, especially around Thanksgiving. YES! I love the sound of these. I love garlic and onions but they're such a pain to peel, chop or cut that I often skip them. These would make life a whole lot easier. Pinning your recipe too. That looks good. The peeling and chopping of the onions and garlic is my least favorite part of cooking. This really does make adding the to dishes so much easier! Nice! The pre-portioned is definitely a benefit. On the flipside, my grocery store actually has prechopped onions, garlic, and more already done for me in special containers fresh and never frozen...so I honestly have a better deal with that. Still, gonna have to remember this if I'm ever traveling away from my regular store. I wish my grocers offered prechopped onions and garlic. I'd pay double for that service! I love Quesadillas. These are looking so delicious. BRILLIANT! It's about time someone did something like this. I need to go stock up. I haven't seen these before. I bet they would be fabulous for crock pot cooking. I didn't even think to use them in the crock pot. Wonderful idea! I haven't seen these in my store yet, but I'm going to keep a lookout for them. They look like a great way to make yummy food and drastically cut down on my cooking time. Oh this is such a cool way to add in your herbs easily! Your quesadillas must be so good! Pop and Cook sounds so helpful to keep around the house for a meal! Way easier than having to prep fresh herbs in a rush. That does look easy! I put tomato juice from our garden tomatoes in ice cube trays that look like that. I pop them out, and put them in a big ziplock bag to use tomato cubes through the winter in soups. I think any soups would be great for pop cook. My tomatoes were so pathetic this year. Actually, the whole garden was except for my mint which grew to the point of being almost out of control. What does one do with a ton of mint? 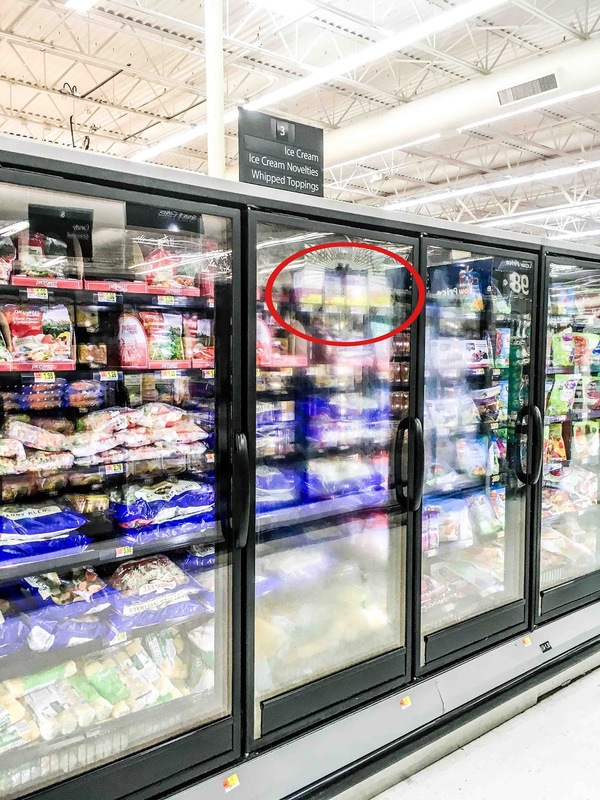 I have not seen the Pop and Cook in the store yet. These are brilliant! I cannot wait to give them a try. 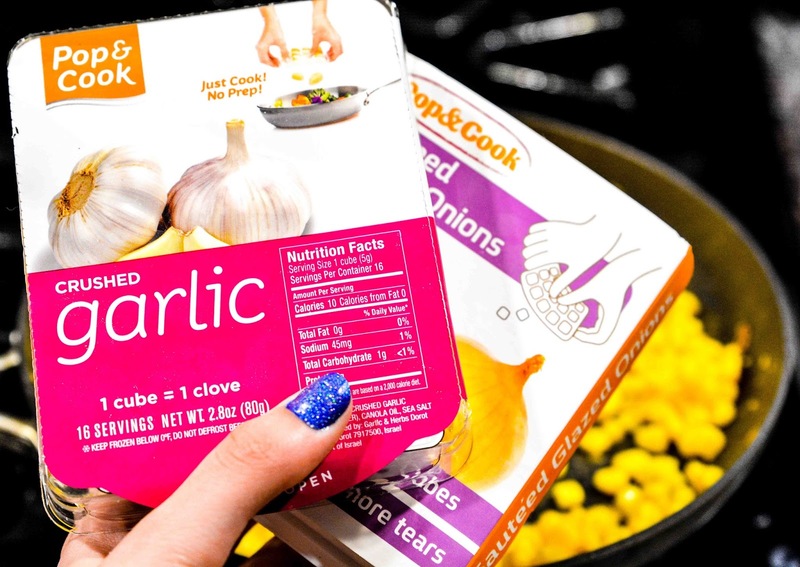 I love the convenience of these pop and cook cubes! No more chopping or grating! I need to find these at the store tomorrow and stock up on it. No more tears when chopping onions! This is the second time I have seen these pop and cook items, I will really need to pick the up the next time we go grocery shopping. They seem like an easy way to cook up dinner. I am sick of cubing and grating stuff for sure! Now this is something new to me. Have not seen these but I will be looking for them as I hate getting the onion smell all over my hands. Wow! This is awesome! 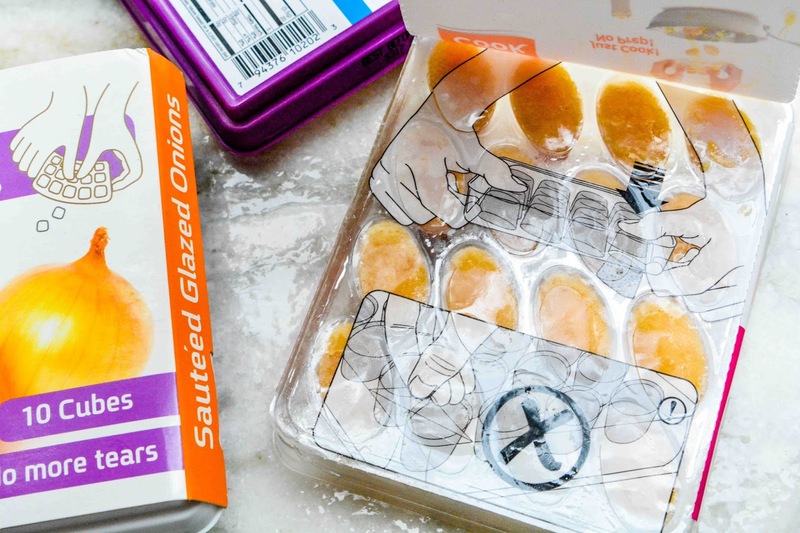 It definitely cuts the prep time shorter since you don't have to chop garlic anymore. 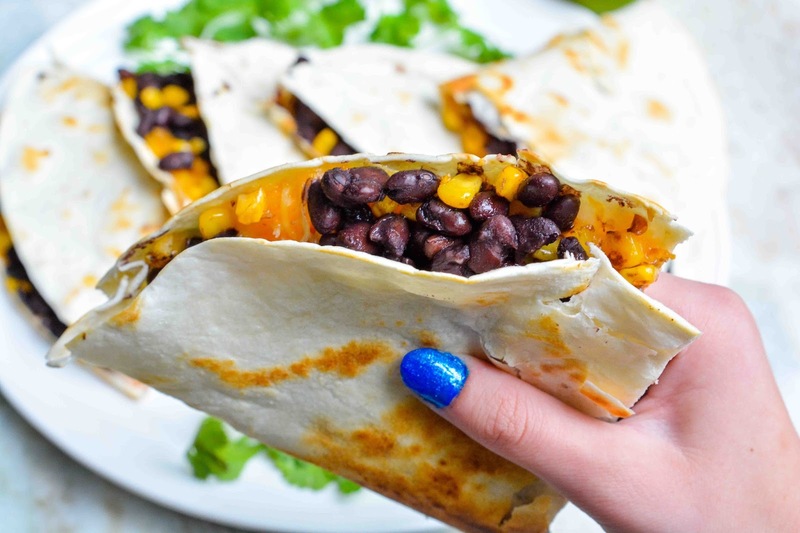 Love the recipe and it's perfect for dinner or lunch for the kids! How convenient that it's already chopped and ready to go! 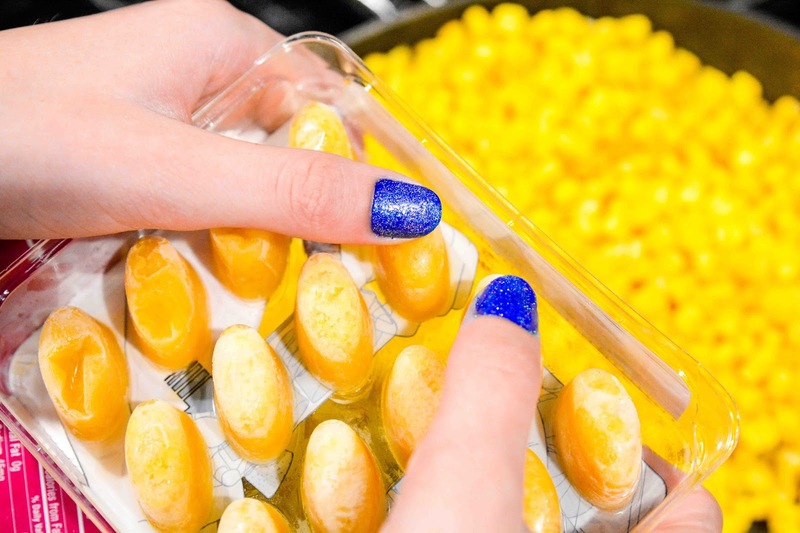 I think it's perfect for people who rarely have time to do all the preparation for cooking. I'm definitely getting a couple of these the next time I go grocery shopping. This is brilliant! I so need to find these for when I cook! How sturdy is the Pampered Chef chopper? I had a chopper that I bought a few years back and the stupid thing broke after like 3 uses. It wasn't Pampered Chef though, just some off brand, but still thought it should have lasted more than 3 uses. I may have to look into getting a PC one though! We buy the dried garlic more than anything because I always hated peeling and chopping and stinky hands. I haven't tried the jar kind yet, but I do see Costco has a big jar of it every time I go there. Oh man - my chopper has been around, and used regularly, for at least 10 years, if not more. We use it ALL THE TIME. We also recently tried this product and loved it! Super simple to use, and priced just right! What a fabulous way to cut down on my prep time! I haven't seen those yet, but they are going in my kitchen immediately. Those quesadillas would be a huge hit here. I love that the kids are old enough to handle a little more flavor. Those cute pops of flavor make it even easier to make an awesome meal. The quesadillas look good. We like everything fresh although the garlic cubes would be quite handy. Hopping over from Pat's site today. Nice to meet you, Teresa! Thanks for stopping by Alex :) Nice to meet you too! Growing your own is always the best way to go. Nothing beats picking fresh herbs from your own garden! Sadly, my garden flopped big time this year because of all the rain we had early on, so I have to rely on store produce until next year. HI, Theresa! Nice to meet you! I popped over from Pat Hatt's blog today. I like to cook from scratch, too. I chop a lot of onion and garlic; and sometimes I get tired of it, but I'm working on my knife skills. I'll probably stick with the fresh onions and garlic because I try to avoid processed foods and the packaging they come in. I've gone back to using a lot of dried or freeze-dried herbs because I am tired of the costly waste of fresh herbs. I travel a lot, otherwise I'd grow my own. Your quesadillas looked delicious! Have a good one! I came to visit the cat sent me over. I've never heard of pop and cook. They should have pop and cook celery, I have to buy a bunch and it always go to waste and I don't like to waste food. 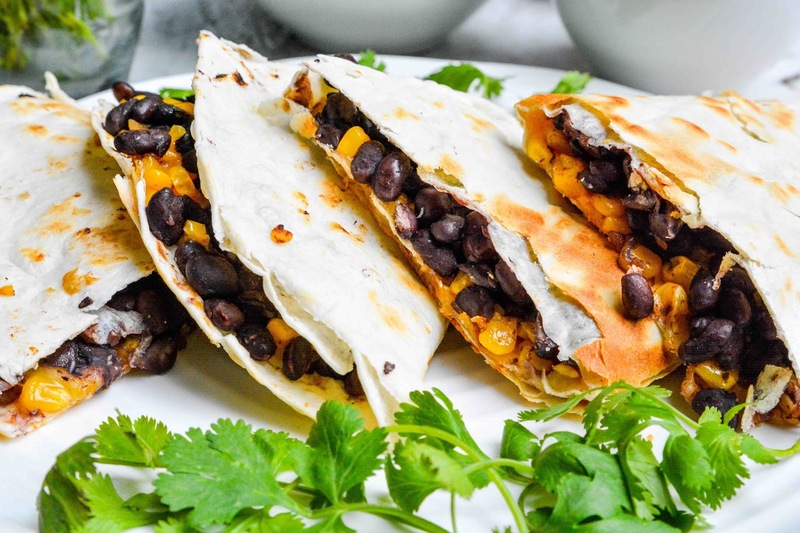 Your quesadilla recipe looks delicious. I'll have to look in the stores for these, especially the garlic. I like the way they're packaged.